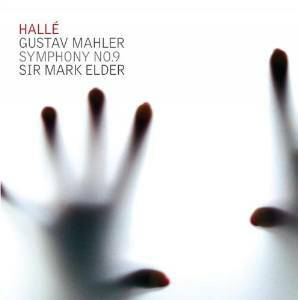 Two excellent new Mahler Ninth Symphonies, similar in spirit and execution, and both highly recommendable. A difficult task, then, to tease them apart and make a preference. 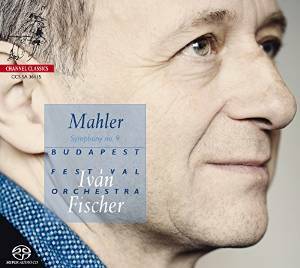 Iván Fischer and the Budapest Festival Orchestra are nearing the end of a well-regarded Mahler symphony cycle for Channel Classics. Audio quality throughout the cycle has been up to the company’s usual high standards, and this release is no exception. Both conductor and orchestra have a natural affinity for this music, but in some earlier releases that seemed a mixed blessing. The First Symphony recording (Channel 33112) often felt like it was lapsing into complacency, so comfortable were the players with the idiom. That impression also returns occasionally here in the Ninth, although to a lesser extent, and others may hear it as deliberate detachment, the composer increasingly distancing himself as he makes his long goodbyes. Mark Elder’s recording with the Hallé is of a live performance (a single night, but with patches from rehearsal). The sense of occasion, and possibly the generous acoustic of Manchester’s Bridgewater Hall, may account for the extra five minutes he takes over Fisher. It is a taught and dramatic reading though. If the players are less naturally sympathetic to Mahler’s central European sound, they compensate with a more gutsy and emphatic performance. Nothing ever coasts here, and Elder always ensures a high level of concentration and focus. Both orchestras sound very fine. The Hallé strings have the upper hand over their Budapest counterparts, both for the corporate elegance of their tone and the sheer accuracy of their playing. For woodwind and brass, however, the Budapest players take the palm. Their playing is more accurate and more idiomatic, the latter perhaps due to their equipment, wider woodwinds, narrower brass. Interpretively, there is little else to separate the two readings. Even though Fischer and the Budapest players sound more comfortable, they always provide plenty of drive and excitement. Their faster pace is evident in every movement, but most acutely in the first, where the drive rarely lets up. Elder, by contrast, makes the interludes more relaxed and the thematic statements more punchy, with greater dynamic and contrast and harder accents. The results are more expansive, but no less focused. No real distinctions between the readings of the inner movements, both of which just under a minute longer under Elder. That central European woodwind sound gives Fischer the upper hand in terms of coloring the rustic dances, but again, Elder’s ability to highlight subtle contrasts and immediately change the character from phrase to phrase makes his an equally engaging approach. If Iván Fischer gets the recommendation, it’s due to the final Adagio, or at least the way that the SACD audio (heard in stereo) presents it to us. Early on in the symphony, the SACD seemed less significant. In fact, the opening of the first movement seems overly emphatic: The Hallé’s cellos can fade in from silence; in superior audio the Budapest players don’t have that option. However, in the last 10 minutes of the symphony, the high-quality sound comes into its own. The quiet, sustained high notes from the violins and woodwind have a beautiful, crystalline quality for Fischer, which the Hallé engineering can’t match. You can turn the dial up, but the results are still muddy, at least by comparison. It is a great shame that the Hallé own label hasn’t gone down the SACD route (or perhaps some other high definition format). Their excellent Walküre a few years ago (Hallé 7531) could have benefited immeasurably, and so could this Mahler. Where it not for that, both of these Ninth Symphony recordings would be of equal standing.